Buying a house without your spouse is possible with the right income and credit. A married couple buying a house under one name may get better loan terms by leaving out the spouse with bad credit. Applying for a mortgage without your spouse may result in a smaller mortgage because you can't use their income to qualify, but you might also qualify for a better interest rate. The lender may require a non-borrowing spouse to sign off on the rights to the home's title, due to community-property states' mortgage requirements. Discuss buying a house without your spouse in advance with the lender. Lending requirements for a non-borrowing spouse – that is, the spouse that stays off the loan – depend on your state's community-property laws, and also on the loan program. Buying or refinancing a house under one name may yield the best financing terms. One of the main reasons mortgage borrowers decide to leave their spouse off of a mortgage loan application is that one spouse has bad credit. Credit scores have a major bearing on your interest rate and the minimum down payment you are required to contribute to the purchase of a home. In the case of a refinance, lenders may require your home to have a higher amount of equity if you or your spouse has bad credit. A very low credit score by mortgage lending standards is below 580, and for certain loan types, less than 620. Bad credit can prevent you and your spouse from qualifying for a mortgage loan altogether when applying jointly. Therefore, a lender may recommend removing one spouse from the application after determining that the spouse has a detrimental credit score. Lenders use the middle credit score of each borrower. Most borrowers typically generate three individual credit scores, known as FICO scores. The FICO score is named after the Fair Isaac Corporation, which developed the credit scoring system. Each of the three major credit reporting bureaus – TransUnion, Equifax and Experian – scores you regularly based on your credit use and activity. A strong credit score is one of the best determining factors of a borrower's ability to repay mortgage debt. You may wonder, can one person get a mortgage? A spouse who chooses to apply for a mortgage on their own needs enough individual income to cover the monthly payment on their own. The lender counts only your income, not your spouse's when determining your ability to repay. Since your spouse's income is excluded from the ability-to-repay calculation, also known as the debt-to-income ratio, you likely will need a strong income to qualify on your own. A debt-to-income ratio or DTI, may not exceed a certain percentage. Fannie Mae, which dictates lending guidelines for much of the conventional mortgage market, generally requires a DTI no higher than 36 percent of your income. If you're an especially strong applicant, the lender may accept a DTI up to 50 percent. This means that with enough income, great credit and strong cash reserves, your lender may use up to 50 percent of your gross monthly income when calculating how much of a monthly housing payment you can afford. Along with your other recurring monthly debts, such as auto payments and credit card minimum payments, the lender lets you stretch your earnings further so that you can qualify for a higher monthly housing payment. Married couples share significant legal and financial benefits. Likewise, they also share liability and risk in the eyes of creditors, especially when living in community-property states such as California. You are often considered a single entity when it comes to acquiring major debts or liabilities, such as tax debt or a mortgage. In order not to be held responsible for your spouse's debt, you may have to file taxes separately rather than jointly, or apply for a mortgage alone, rather than as joint borrowers. 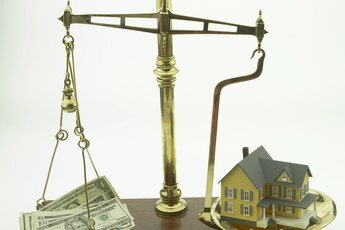 States vary when it comes to community-property laws. Community-property laws make any asset acquired within the marriage equal property of both spouses. The same goes with debts acquired within the marriage in a community-property state. Community-property laws vary by state. There are only 13 states which are considered community-property states and the laws are more complicated than those of common-law states. Mortgage lenders have different qualifying requirements when lending to a married applicant without their spouse in a community- property state. Because the non-borrowing spouse in a community-property state can have rights to the home even without being on the loan, lenders usually don't allow the nonborrower to take title to the home. For example, this may allow a wife to buy a house on her own, but the title vesting must exclude the husband. 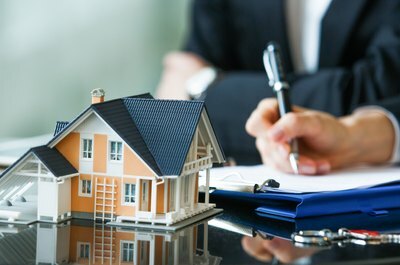 This essentially helps the lender protect its financial interest in the home and prevent an "uninterested" or unvested party from exercising rights to the property. In such a scenario, the wife could take title as: "Jane Doe, a married woman, as her sole and separate property," for instance. 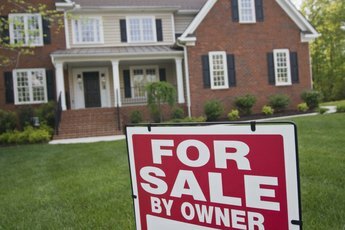 Buying a house without your spouse's knowledge is possible if you qualify on your own in a common-law state. Many spouses have been able to successfully hide a home purchase and surprise their husband or wife with the keys to a new home. However, buying a house without your spouse in a community-property state is unlikely if you're getting a mortgage. That's because the lender will likely require your spouse to "quit claim" or sign a deed rescinding their right to the home before allowing you to close on the loan. This prevents a spouse from taking on a mortgage debt that their spouse could be held liable for but without their knowledge. It also prevents fraud. 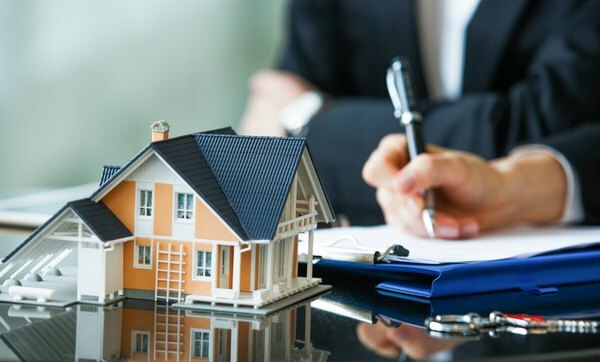 Although a spouse might be able to get away with signing all mortgage documents without their spouse's knowledge, they can't close without their spouse signing off of the title. Discuss with your lender exactly what the parameters are for borrowing on a mortgage without your spouse. You might ask whether the lender will allow you to use your spouse's cash reserves toward the down payment, even though their income and credit won't be used. You might also ask whether your spouse's debts will figure into the DTI calculation. Certain loans carry more strict qualifying guidelines and may require a credit check for your spouse, even if you are not applying jointly. Depending on the loan type and the state you are buying in, the lender may use their debts in the DTI ratio, making it harder for you to qualify because you're stretching a single income over both spouse's debts. As of 2018, the Department of Veteran Affairs which makes VA loans counted a non-borrowing spouse's debt in DTI ratios in all community-property states. Judgments or outstanding collections on a nonborrower's credit report would have to be paid before closing on a VA mortgage. Rules and restrictions when qualifying alone vary by lender, loan type and where you live, so informing yourself on how the lender treats your spouse's money and debts before applying alone is worthwhile. Ask your escrow officer about any state requirements for notarizing the letter from your spouse. A notary confirms your identify and stamps the document with the official seal of the licensed notary public. Your spouse may also need to sign additional official paperwork for the lender in states recognizing community property -- meaning couples share everything equally. 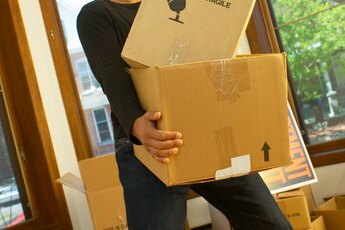 Each state has unique laws to recognize separate property for spouses. Your escrow officer can help with the details. Read the transfer for the grant deed carefully. It must show title under your name as a "married woman, as her sole and separate property" to own the property exclusively in your name. Lenders cannot discriminate against married people. You have the right to a separate loan and the right to hold property under a grant deed in your name. If your loan representative or broker tells you otherwise, report the person to a supervisor -- or directly to the Federal Trade Commission Consumer Response Center for companies refusing to consider your loan. Get the refusal in writing, if possible.